Learn about being a Vegetarian, and the different types of Vegetarians. There are so many levels of vegetarianism. Check out the basics! People choose to assume a Vegetarian lifestyle for many reasons. Some of these reasons are moral, while others may be based in religious beliefs, or even for better health. Whatever the reasons, becoming a Vegetarian isn’t difficult, but you do need to make some educated decisions on how to proceed with your diet. In general, a Vegetarian doesn’t eat meat. They eliminate beef, pork, poultry, fish and seafood from their diet, while providing plant based foods to replace these during meals. There are different types of Vegetarians, though, and some may include foods that others choose to eliminate. Vegetarian, also Lacto-Ovo Vegetarian – This is the type most people practice. They don’t eat meat, but do include dairy and eggs. So if you are wondering, can vegetarians eat dairy? The answer is generally, yes. Although this diet is healthier than a meat-based diet, the Lacto Ovo needs to keep an eye on the amount of cholesterol they consume. Dairy and eggs contain a significant amount of cholesterol. The easiest way to avoid too much cholesterol is to eat plant-based sources of protein. Lacto Vegetarian – same as above, but this vegetarian does not eat eggs. The same warning for cholesterol applies. Those who eat dairy products in excess may find that their cholesterol is high. Ovo Vegetarian – Same as above, but does not consume dairy products. Again, watch your cholesterol intake. Those who follow this diet may get much of their protein from eggs, which is a high cholesterol food. There is some argument as to whether the next three types are Vegetarians at all, but they are trying to eat a plant based diet, and it’s still healthier than a meat based diet. You might consider these to be semi-vegetarian diet choices. These versions have been included to show the range of choice available. They may also include eggs and dairy, or they may exclude them. The Flexitarian – This is a ‘I’m a Vegetarian most of the time, but I still eat meat occasionally’ diet. They follow the principles of Vegetarianism, but eat meat when they want to. Still better than a meat based diet, but non-committal. PescoVegetarian – This type, also known as a Pescatarian, eats fish as part of their diet. (A Vegetarian that eats fish). This is still a healthier option than a red meat based diet, but isn’t without its own risks. Seafood contains many harmful pollutants and chemicals which have been ingested by the fish, and can cause mercury poisoning, as well as other illnesses. Pollo-Vegetarian – In this variation, chicken is part of the meal plan, but no red meat or seafood. Do vegetarians eat chicken? Generally, no, but this type would. The next group of dietary choices are based on a Vegan Lifestyle. Whereas Vegetarianism in general is considered a nutrition or diet choice, Veganism is more of a lifestyle choice. Vegans tend to make this choice for moral reasons, mostly based on the ethical treatment of animals used to provide food. They feel that even animals that aren’t killed to provide food are not necessarily treated humanely, and this trickles down to insects, including bees. Generally, Whole Food Vegans do not consume any type of meat or seafood. They also do not consume dairy products or eggs, and avoid honey and beeswax products. They only eat plant-based foods. All animal based foods are off limits. And yes, you can get your nutrition from this type of diet. Vegans often don’t wear leather, silk or wool, as they are products derived from animals. The biggest issue with a Vegan diet is the ‘hidden’ animal products, like gelatin, that are used in foods, and will require some label-reading, especially in the beginning. Beegan – Although Vegans feel that taking honey from bees may harm them, Beegans don’t feel this way. They eat the same plant-based diet, plus honey. 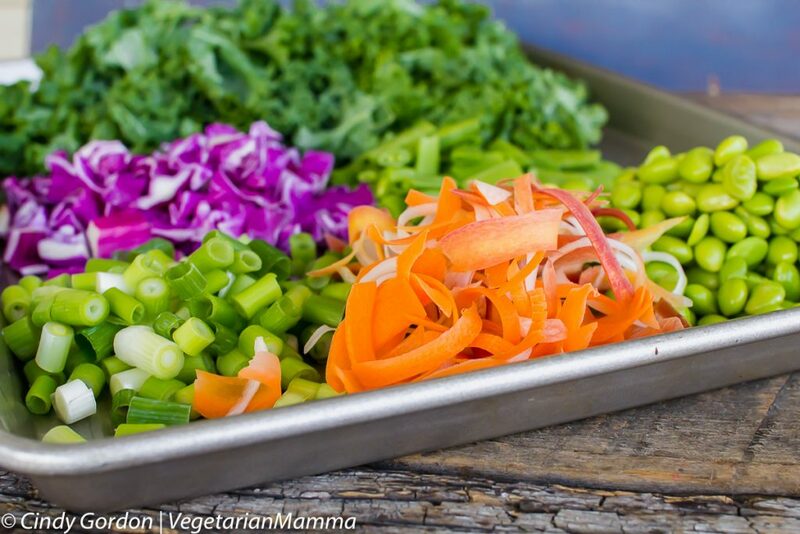 Raw Food Vegan – Raw Food Vegans don’t heat any foods above 116 degrees F, as they feel that higher temperatures destroy the nutritional value. You may hear these folks referred to as “raw foodists”. Macro-Biotic – This diet is based in Japanese diet and nutrition, as well as some religious beliefs included. It gained popularity in the 1960’s and has its own nutritional food pyramid. It avoids any processed foods, meats, etc., as well as heavily spiced foods and alcohol. Macro-biotic diets are popular among many celebrities. Junk Food Vegan – This diet consists of anything that doesn’t contain meat, eggs, or dairy. Believe it or not, many junk foods don’t contain any of these ingredients, like Oreos and potato chips. As with all things, moderation is the key, and you still need to consume a well- balanced diet to maintain good health. When deciding to eat healthier, you may want to start with a diet like the Common Vegetarian diet, and work your way to a Vegan Diet. This way of eating includes many choices that will appeal to you, and what you eat doesn’t need to feel restrictive or boring. The choice of which types of vegetarians you relate to is up to you, but in any case, your lifestyle will be enhanced with better nutritional choices. Looking for some meal ideas? We have plenty of good main dishes, side dishes and dessert recipes! 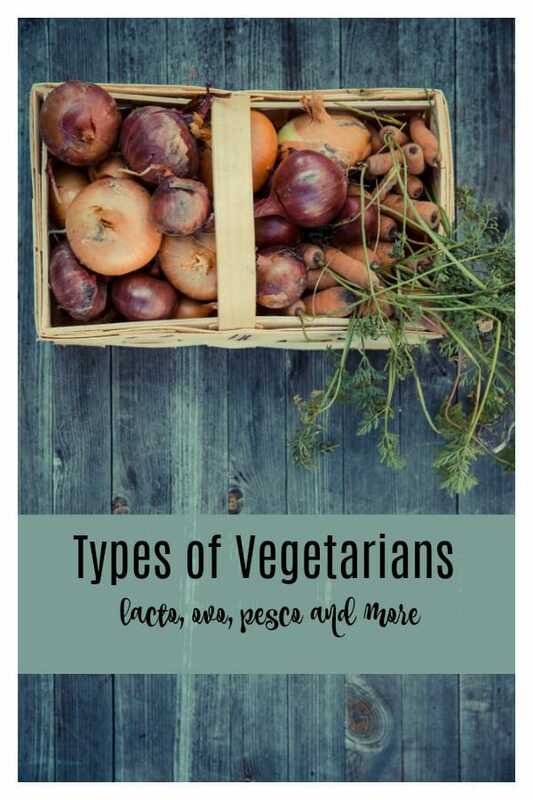 Be sure to check out our other articles in this vegetarian series: Types of Vegetarians, Myths of a Vegetarian Diet, Building a Balanced Vegetarian Diet and Vegetarian Recipes to Get you started! Let’s talk! Where do you fall in all the levels of vegetarianism? How long have you been a vegetarian? I was literally just talking to my husband about this the other day. I was really curious about the various types of vegetarians. This helps me a lot, thanks, Cindy! I didn’t know there were different names for the different vegetarians out there. I have a couple of vegan friends as well. I have always wondered about the different lifestyles! Thank you for laying it out for me. I was on a vegan diet last summer for my liver and it really worked well. This is indeed a great post about the types of vegetarians. I know my son doesn’t eat meat, eggs, or milk. He just started a couple of months ago just eating organic plant based foods. Thanks for sharing the information. I did not know that there are different types of vegetarians. I learned something today, I admired people who stay healthy and maintain a healthy diet. I tried to avoid pork and I was only able to do it for a week or two. This article was very informative and user-friendly. I am a Flexitarian, meaning that I strive for a plant-based diet, and I mostly avoid dairy, but I do eat eggs, some cheese, and the occasional fish and/or poultry. I do not eat red meat, and I am not a fan of pork or goat or lamb. Once in a blue moon I will eat ham. I like turkey bacon and chicken sausage. 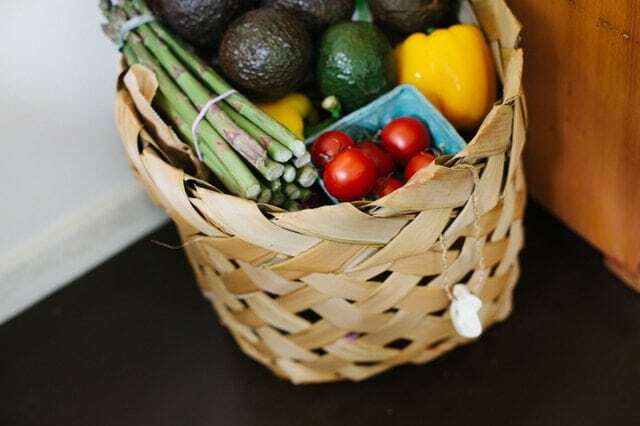 I think it really comes down to percentages: about 80% of what I eat are vegetables, grains, and legumes, plus alternate proteins such as tofu, soy, almonds, and walnuts. 10% is dairy and eggs, and the other 10% is fish/poultry. Although this is is no way a “vegetarian” diet, I do consume way less meat than the average person in America. Hi Alison! Thanks for stopping by and taking the time to let me know your thoughts. 🙂 It means a lot! I think just finding the “right” fit for ourselves is the best thing we can do. Sometimes it is a variety of things, a little of this and a little of that! Sounds like you are finding just what is right for you!! 🙂 That’s awesome!